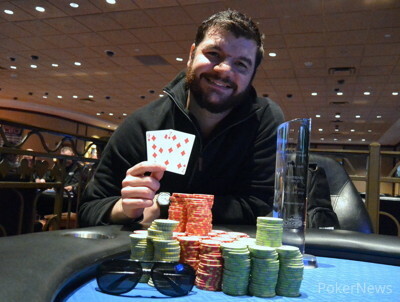 Alden, New York pro Rick Block took down the 2016 Western New York Poker Challenge Main Event at the Seneca Niagara Resort & Casino on Monday. Block, who picked up his second major Seneca Niagara title, following up on his 2014 Seneca Fall Classic win, came into Monday's final six as the chip leader and never really looked back on the way to a $52,768 score. The first elimination of the day came quickly when Joseph Reichenbacher ran a small pair into Dan Wagner's trips to say goodbye in sixth. 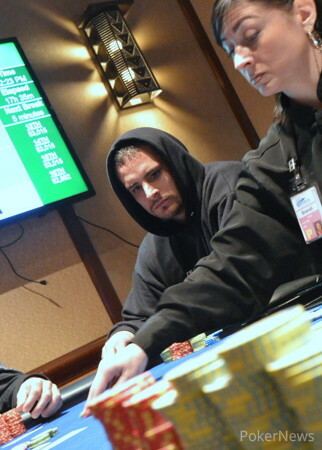 Wagner then continued to do all the heavy lifting, busting Ray LaRouech in fifth and Newton Graziono in fourth, taking the chip lead into three-handed play. But that's when Block put his foot on the gas, taking a series of mid-sized pots outpipping Wagner's pairs and snatching the lead away. Ultimately, Block four-bet shoved a set and Wagner called off with two pair to end his solid run in third. Heads-up play did not last long, with Block shoving two pair in just the first few hands this time, pumping his fist when Charles Johnson called it off with jacks on an ace-high board. Two pair held and Block was suddenly and decisively the 2016 Western New York Poker Challenge Main Event champion. 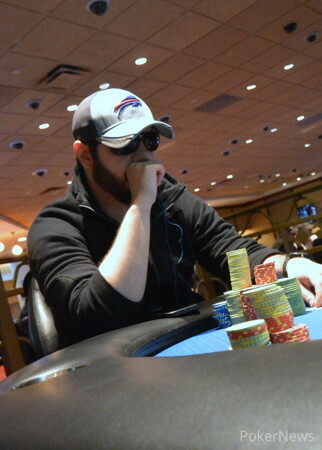 Another successful poker series now comes to a close inside the Niagara Falls Poker Room, with Block proving his mettle against a field of 244 entries that once again smashed the event's $200,000 guarantee. It's goodbye for now from Niagara Falls, but look for PokerNews to be back in the Western New York area for the 2016 Seneca Niagara Summer Slam coming up in July. Heads-up play did not last long. Rick Block made it 100,000 from the button, then called when Charles Johnson bumped it to 350,000. Johnson bet the flop and Block called. The turn came the , Johnson checked and Block ripped it in. Johnson took a second or two, then called with the . 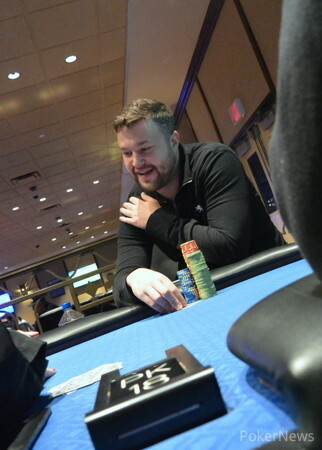 He was behind against Block's two pair, and stayed there after the river, making Block the 2106 Western New York Poker Challenge Main Event champion and relegating Johnson to second place. It was a family pot after Dan Wagner made it 100,000 and Charles Johnson and Rick Block both called. The flop came and when it checked to Wagner, he bet 160,000. Johnson folded and Block raised it up to 365,000. Wagner raised it up to 740,000 and Block four-bet shoved. Wagner called it off with the but was on the wrong side of a classic cooler with Block holding the set. The board finished up taking Wagner out third and sending Block into heads-up play with a big lead over Johnson. Rick Block moved firmly in the lead firing away at Dan Wagner in two pots and showing down the marginally best hand both times. Then Charles Johnson shoved the and Block beat him to the pot with the call holding the . The board ran out and Johnson doubled. Block still leads and Wagner and Johnson are close to even. It was a family pot limped into Charles Johnson's big blind that checked to the turn on a board. It checked around to Newton Graziano and after he bet 200,000, Dan Wagner made it 420,000. Graziano was the only caller, and after the river fell, Wagner pushed in. Graziano called it off with the , but Wagner had it, making a flush out of the . Newton Graziano has pulled even with Charles Johnson on the bottom of the counts after doubling through him. 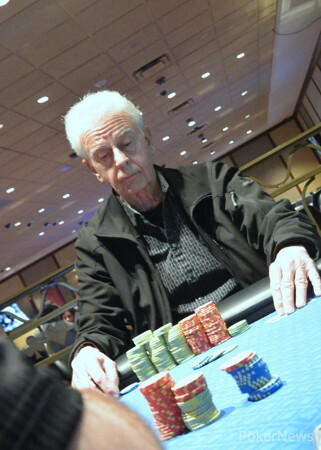 He moved in with the on an flop and Johnson made the call with the . The board finished up and Graziano and Johnson now both have one million chips. If he wasn't before, Charles Johnson is really back in it now. He shoved almost 800,000 over the top of a Dan Wagner button raise and Wagner snap-called with the . Johnson had the dominating . Johnson made a set on the board and locked up the big double up. The 2016 Western New York Poker Challenge Main Event Final Table Starts Now! Day 2 of the 2016 Western New York Poker Challenge Main Event Starst Now! Kandefer Leads; Three More Hands!